For those with a Twitter account, and following JBN over there, this post is a whole lot of old news. But for those who aren't on Twitter...Hey! I have news! Now, I know many fans would love to find out Jamie finally took the social media plunge and joined Twitter. Well, that didn't happen. (Sorry. I couldn't resist.) The fact is, the odds of Jamie joining Twitter are on par with Firefly being back on FOX's schedule. Kerry's Twitter handle is @ImKerryNorton. I highly recommend following her on Twitter or, if you don't have and account, bookmark her page. She's quite entertaining and, yes, may mention her husband once in awhile. Of course, if she tweets anything newsworthy about Jamie or her own career (the Bamber News umbrella extends to her :), myself or zegeekgirl will be sure to share here. One piece of news Kerry has already shared, Filly Brown will hit theatres on September 21st. Oh, and she's also sharing photos. Actually, the above pic was tweeted by Jamie's Chelsea General costar, Jennifer Finnigan, @jennigan. Late last week, Jennifer mentioned going to Coachella (a music and arts festival in California) and a day later Kerry tweeted she and Jamie were attending. Which made me wonder if there would be a collision of co-stars. I love it when actors come through for you. :) Besides being a fabulous photo of them all, including Jennifer's husband Jonathan Silverman, how awesome is it to see costars bonding so quickly? It makes me even more excited for a Chelsea General pickup. Speaking of a series pickup, Deadline, in their PRIMETIME PILOT PANIC: Early Buzz Update, is reporting that of TNT's four drama pilots, "CHELSEA GENERAL is hot, with Frank Darabont’s LA NOIR and Carol Mendelsohn’s SCENT OF THE MISSING also in the mix." \O/ By the way, Scent is Tricia Helfer's pilot so if we are really lucky and TNT has smart people in scheduling, we could have a BSG night of viewing. Now, for a couple of photos Kerry shared. 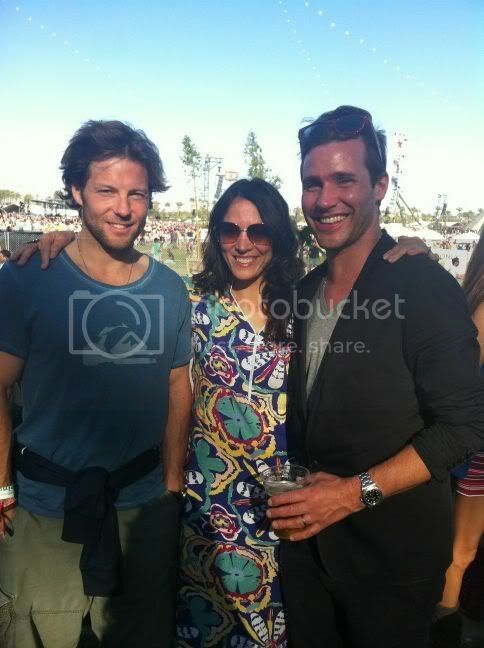 The first was, again, taken at Coachella and also includes Jamie and Kerry's friend DJ Zen Freeman. And here's a previously unseen member of the Norton-Bamber-Griffith family, Flint. Everyone say, "Awwwwwww". OK, to steal from Shakespeare in Love, I'll end this on a bit with a dog. The fact is, the odds of Jamie joining Twitter are on par with Firefly being back on FOX's schedule. Deadline article has brought me up to "excitement increased, but still knocking wood at moderate but consistent intervals" level. I mean, it's Deadline... they are often right, but sometimes they are very wrong. If anything, the gauge to go by is the fact that at this point last year, they said it didn't look good for 17P and that turned out to be right; maybe we'll get an equal but opposite result this time? Here's hoping. I didn't forget. I didn't want to spoil everything she had to say. Wanted a few surprises for people who go read her feed. ;) And I'll definitely post any music here she shares over there. I got the news about Kerry joining the craziness of Twiter pretty early on but I still had to come and squee a little about it. 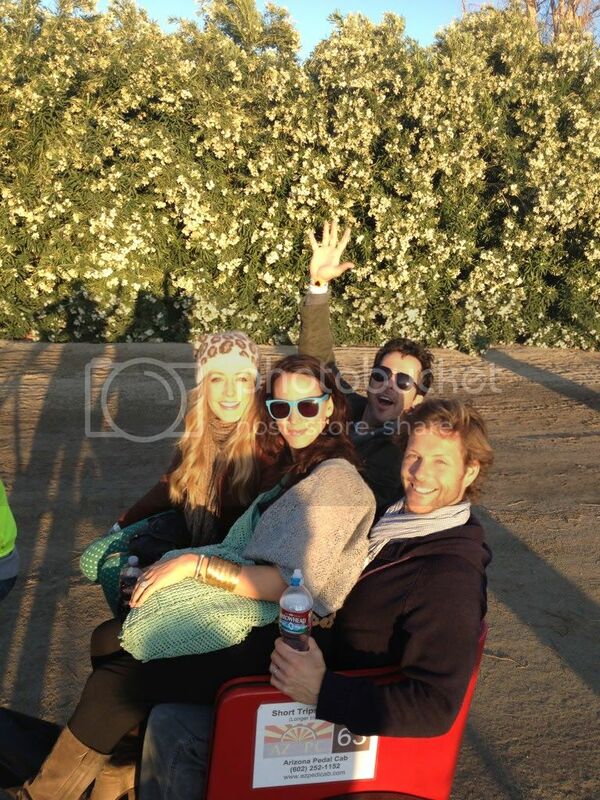 And about that pic that Jennifer Finnigan shared - they seem all so at ease with each-other that is really sweet. And gives me hopes for CG. 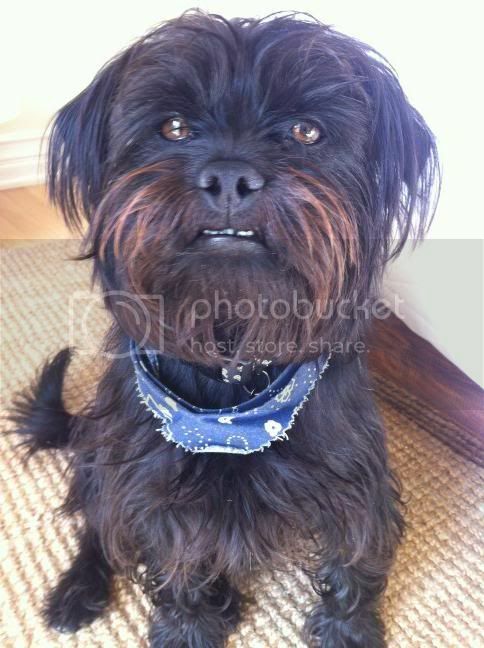 and Flint - he is like very-very cuuutttteeeeee. I have to admit I'm a cat person but this guy is really funny in this pic. And I simpatise with him since I can only imagine what it must be to live with three little girls in the house. people really do look like the pets. I think he looks like Jamie.